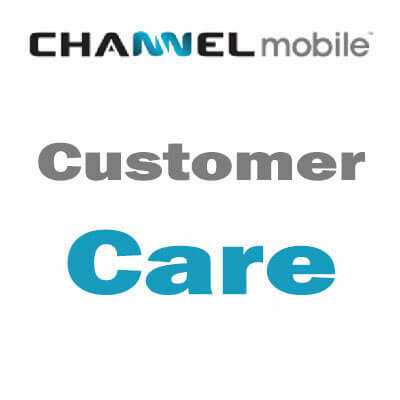 Channel MobileBlogArticlesAre you satisfying your customer’s needs? Are you satisfying your customer’s needs? The speed in which you are able to attend to clients during a time of frustration can take your business from mediocre to efficient. As we have discussed in previous blogs, mobile accessibility is vital for the growth and relevance of your business in this generation. So having your business accessible via the various mobile opportunities should be a big part in your marketing strategy. Once you have all this set up and accessible how can we be sure that we are satisfying our customer’s needs, are we missing anything they might like or preference they might have? How can you find out what you can or what else you should be doing to improve your customers experience? Channel Mobile has done some research to let you know where your customers find value in and where they don’t. By focusing on these key areas, and analyzing your performance in them, you will be able to see if your marketing strategy is working for your business and in fact having a positive effect. It’s important that as a business you “stand for something”. Recent studies have shown that 64% of the mobile active population cited shared values as the reason for shopping or using certain brands. If you are looking for loyalty from your customers, you as a brand need them to care about your product or services. Try keep your brand in a positive light. Research has shown people relate to and feel more encouraged to use a brand through positive social stance in their communities. So keep all things light and happy when it comes to your brand and the various social platforms you have. Studies have shown that customers respond better to products with words like new, free, instantly or frequently attached to them. Whether it’s your great pricing, or brilliant service delivery or customer care, this varies from business to business but it is essentially what keeps the business world going round. Understanding that reciprocity is built from even the smallest gestures will help you understand that you don’t have to break the bank to keep satisfying your clients. Research has shown that when reciprocity comes as a surprise element the effect can be that much more on the consumer. An example of this would be, a surprise 10% discount when ordering on the mobile app. This would entice clients to shop again, along with increasing the use of your application. Having a strong support team to handle customer complaints or enquiries is a vital part of business. The speed in which you are able to attend to clients during a time of frustration can take your business from mediocre to efficient. To ensure your business stays efficient having different platforms for your clients to access customer support will ensure you are satisfying customer support on all levels. Online mobile chat is great option and is less expensive than other options such as call centres and instore customer care desks. When customers come to complain it’s important that this process runs smoothly for them and does not add to their frustration, it also helps when a customer support team can relate to the client to make them feel that they are cared about on a personal level. This also helps clients stay loyal to your brand even when there is a mishap, they feel as though you care and therefore they enjoy that sense of security when using your brand. Having a place for clients to give suggestions or easily complain or compliment your business is a great way to know exactly what is working for your business and what is not. A suggestion page on your website or mobile app would help make a quick safe way for your clients to come forward and let you know what they think and how they feel about your brand. At Channel Mobile we take all of the above into consideration when working on your mobile marketing strategies, making sure our clients are gaining as much exposure as possible via the mobile world. Contact us today to see how we can help you?